Reacting to a United States District Court decision that it infringed on patents owned by Apple and must pay close to $1.05 billion in damages, Samsung issued an internal memo to employees Monday saying it is "very disappointed by the verdict." "It is regrettable that the verdict has caused concern amongst our employees, as well as our loyal customers," the memo states. 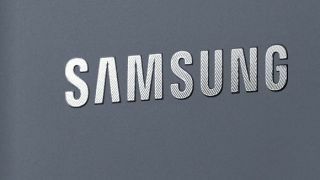 In the document, published on the company's blog, Samsung maintains it tried to negotiate an agreement with Apple instead of going to court. However, Apple "pressed on with a lawsuit," leaving the South Korean company with "little choice but to counter-sue" in order to protect the company. Samsung pursued an out-of-court settlement, the memo said, because Apple "had been one of our most important customers." While it vows to fight the court's decision, Samsung points to international rulings, such as one recently handed down in Korea, where courts found Samsung didn't copy Apple's designs and validated its own claims against Apple. "These courts also recognized our arguments concerning our standards patents," the memo says. The company's confidant it will win in the court of public opinion, concluding that consumers and the market "will side with those who prioritize with innovation over litigation." Samsung's description of Apple as an important customer, at least in the past tense, isn't just hot air. Though it plans to appeal the San Jose, Calif. court's ruling, Samsung is reportedly unprepared to sacrifice its billion-dollar components partnership with the Cupertino company. Thanks to a "strict internal firewall," Samsung hopes to keep litigation facing its handset division from impacting its components business. In fact, CEO Kwon Oh-hyun - who's main duty is running the components side of the company - didn't attend the Seoul post mortem meeting Sunday. It seems the company's firewall, set up to avoid conflicts with companies like Apple in situations such as this, is in full effect. Apple is the components side's largest customer, while Samsung is Apple's only supplier of the custom processors, several types of memory chips and flat screens found in iOS devices like the iPhone and iPad, Reuters reports. According to an executive present at the Sunday meeting, Samsung views the legal mire centering on its device division "a separate issue" from the business its components division conducts. The relationship between the two is too important to lose, no matter the bad blood.